I have something to get off my chest. A minor pet peeve of mine that too many people are guilty of. St. Patrick’s Day is this Sunday and I certainly don’t want any of you looking foolish while touting your whereabouts or whatshappenings on Facebook or Twitter on this drunken Irish holiday. If you are going to shorten St. Patrick’s Day to St. Paddy’s Day, it’s Paddy, not Patty. Patty is a name for a girl (short for Patricia) or a burger. Paddy is derived from the Irish, Pádraig, hence those mysterious double-Ds. Here is some other Irish info you might want to enlighten yourself on before indulging this weekend. Now, let’s talk about dessert! I have saved this recipe for a year, just waiting to make it for this holiday. I wouldn’t hang on to this recipe for another year before making it again! You shouldn’t either. These little buggers turned out great! 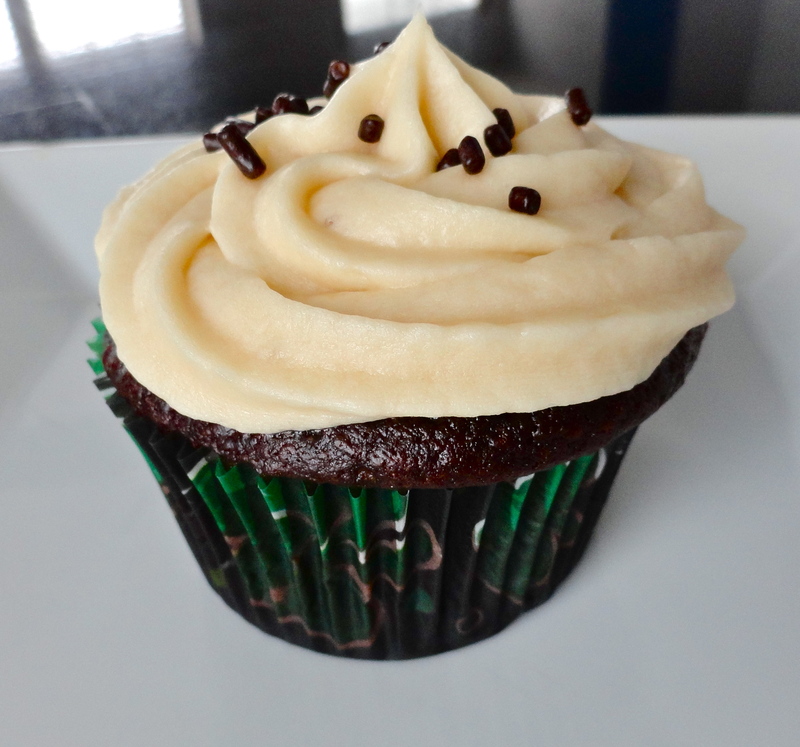 The Guinness really brings out the cocoa but keeps the cupcakes super moist and airy, with a sinful chocolatey delight! 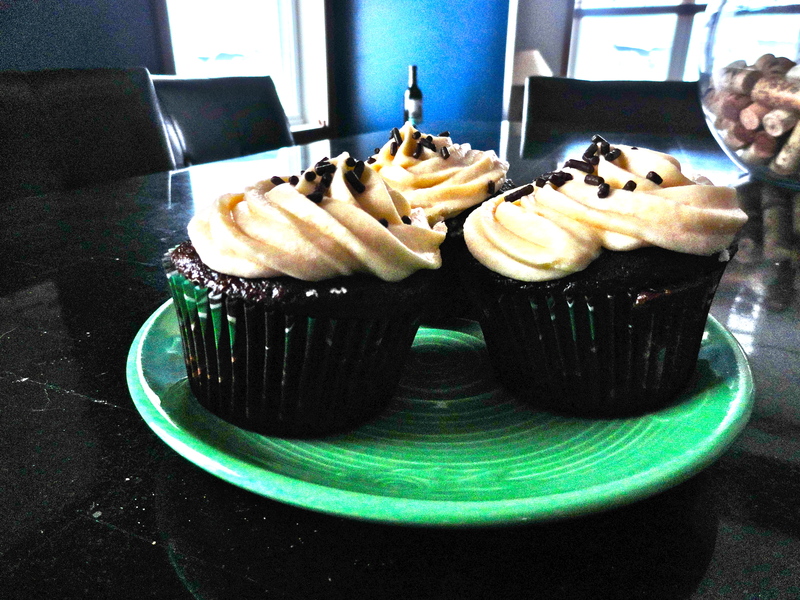 I was worried that the frosting might be too liquor-y tasting, but once it was paired with the cupcake, they complimented each other perfectly. The frosting is light, fluffy and perfectly sweet. 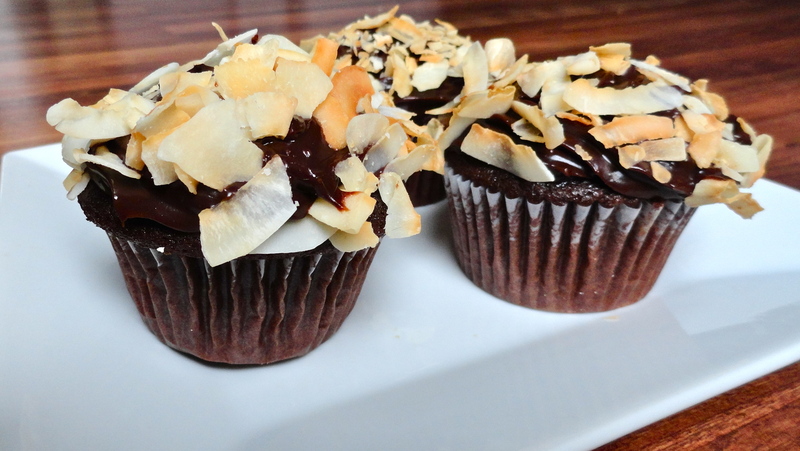 I am looking forward to serving these at our pre-St. Paddy’s Day celebration on Saturday! 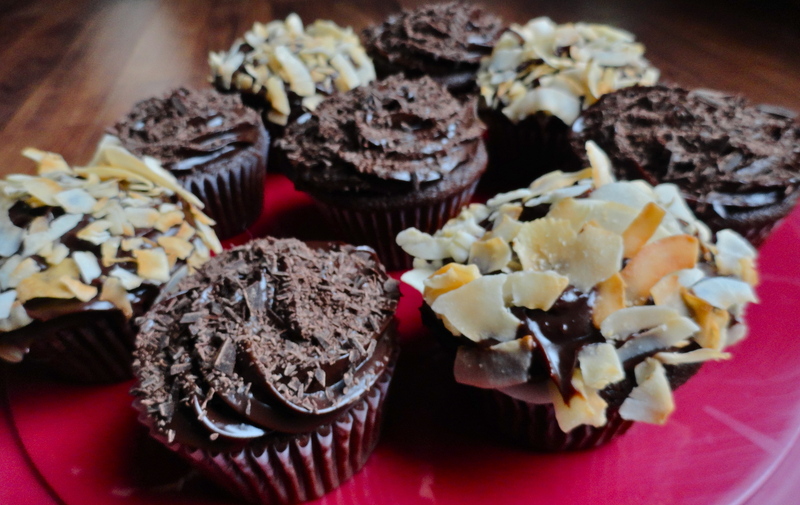 **UPDATE: 3/19/2013 – Everyone loved these cupcakes. I brought leftovers to work and one of my co-workers said it was the best cupcake she’d ever eaten. What a compliment! I had several other nice compliments from everyone who tried them. What a hit! 1. Preheat oven to 350 degrees. In a large bowl, combine flour, sugar, baking soda and salt. Set aside. 2. In a saucepan, bring Guinness and butter to a simmer over medium heat. Once butter has completely melted, whisk in cocoa powder until smooth. Remove from heat to cool slightly. 3. In the bowl of a stand mixer, beat eggs and yogurt until blended. Add Guinness and butter mixture and mix until just combined. Slowly add in flour mixture and beat until mixture is well combined. 4. Line cupcake pan with liners, and fill liners 2/3 – 3/4 of the way full. Bake until cakes are just cooked through and an inserted toothpick comes out clean, about 17 minutes. Cool slightly, remove from pan and let cool completely on wire rack before frosting. 5. 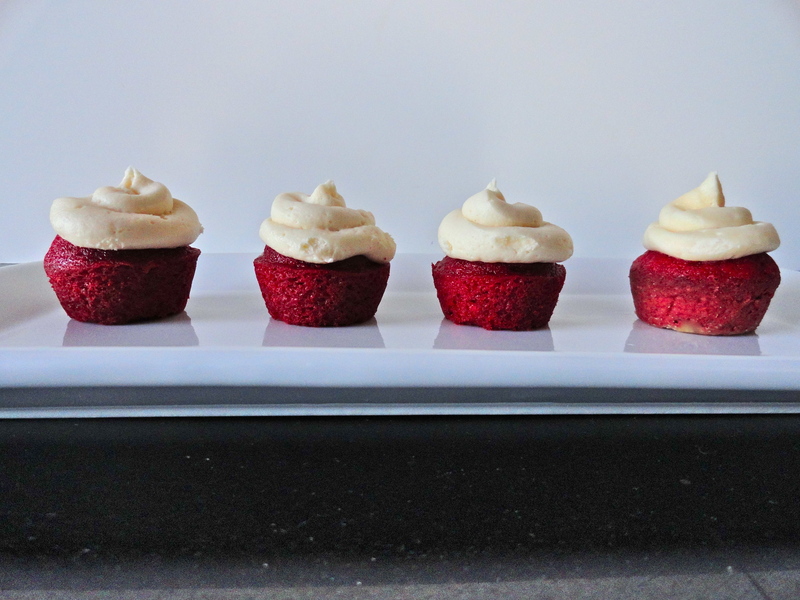 For the frosting, place butter in the bowl of a stand mixer and beat until creamy. Gradually add the sugar, about 1/2 cup at a time, mixing well in between additions. Add sugar until the frosting is desired consistency (making it just slightly thicker is ideal because the Bailey’s and cream will loosen it up a bit). Add Bailey’s and cream and whip until combined. Add additional sugar if necessary. 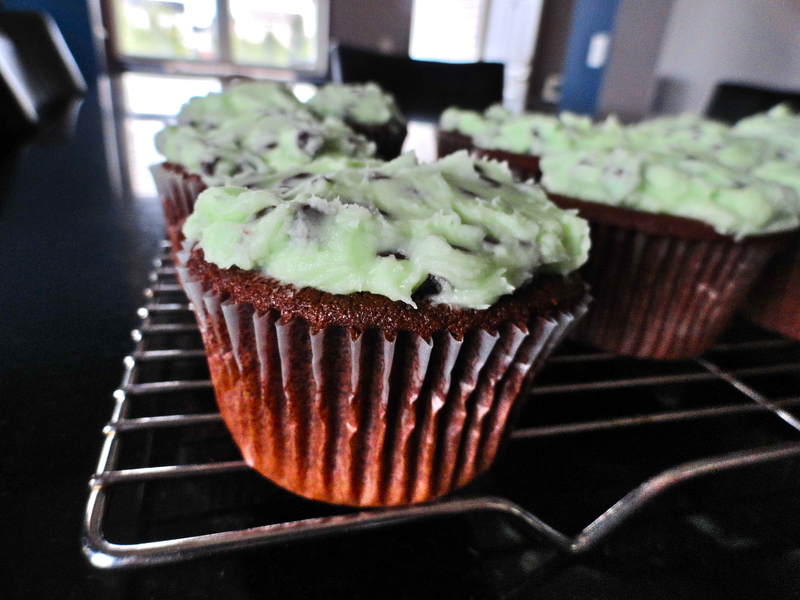 Frost cupcakes once they’ve cooled completely. Let me start by saying Nate doesn’t like carrot cake. There aren’t many things he doesn’t like, but unless I see him eat it and then he says he doesn’t like, I don’t believe him. 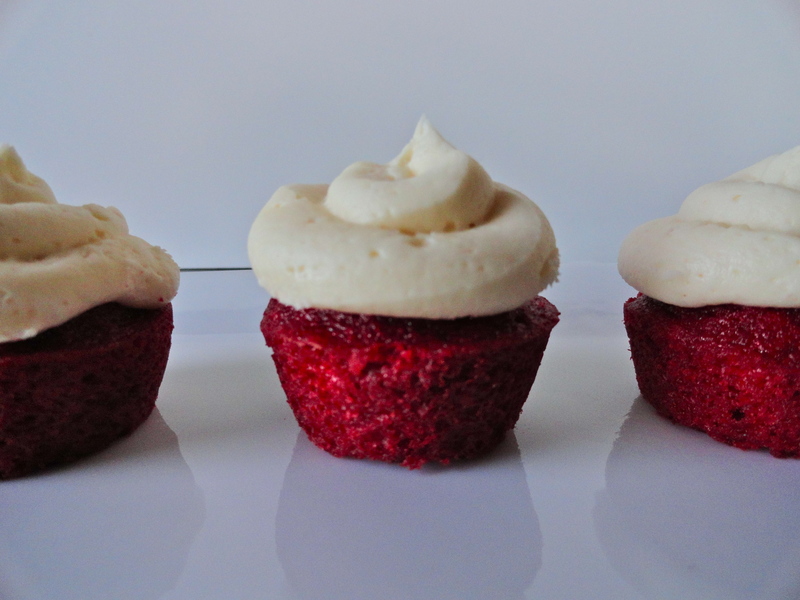 Knowing that he doesn’t like carrot cake, I wasn’t really planning on making it, however, I had some cream cheese frosting left over from my red velvet cupcakes that I wanted to use up. 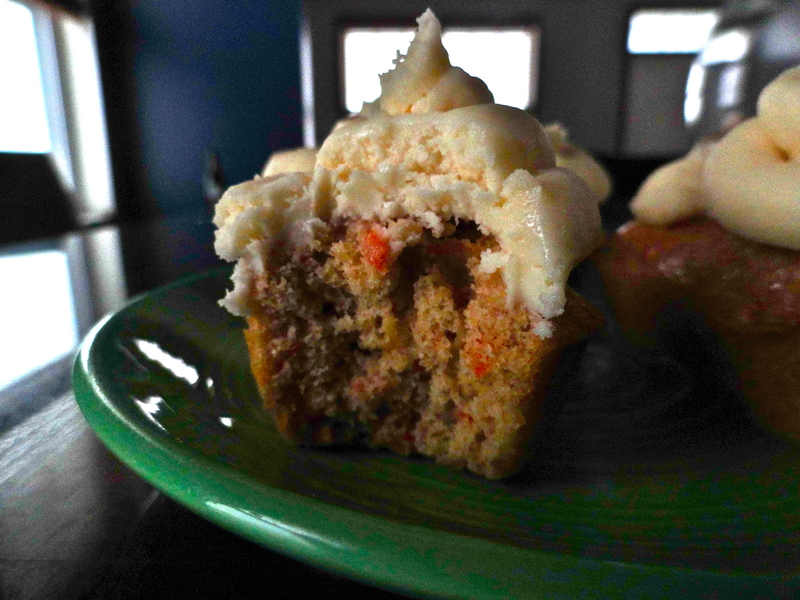 I decided that I’d make carrot cake, and seeing as though Nate “doesn’t like” carrot cake, I’d make cupcakes, so they are easy to bring into work, rather than a whole giant cake. I didn’t have a recipe in mind before I started, so I headed over to Prevention RD, on of my faves, to see if Nicole had any recipes. What do you know? She did! Even better, she had a lightened up version of the cake. Score! I’ve had this huge tub of fat-free plain yogurt in my fridge for a few weeks, which I bought on accident. I was meaning to buy plain yogurt, which I almost never buy non-Greek style, for perfectly flakey buttery pie crust. I didn’t want to use the fat-free for the pie crust, as it was for an event I was doing, and didn’t want to take any risks. I decided to cut the butter in the recipe with the yogurt. There isn’t a lot of butter, but at least it’s a start on making a dent in that vat of yogurt! When you are substituting yogurt for butter in baking, you need to use half the original amount of butter, and half the amount of yogurt as butter. So for example, if a recipe calls for 1 cup butter, you would use 1/2 cup butter, and 1/4 cup yogurt. Nicole’s recipe called for 6 tbsp butter, so I used 3 tbsp butter, and 1 1/2 tbsp yogurt. The result was great! 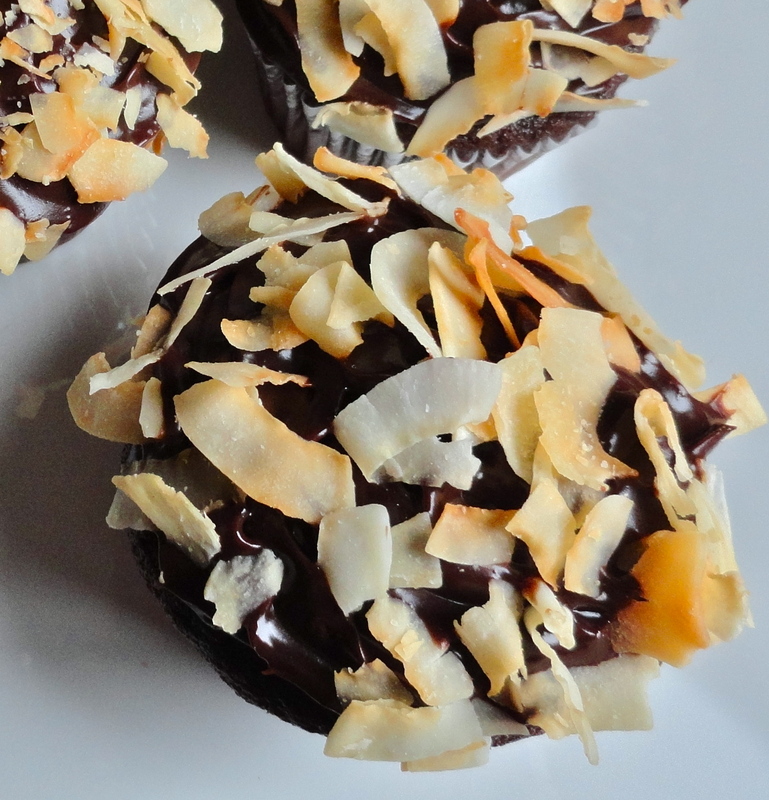 The cakes were moist and fluffy, with a rich sinful flavor. 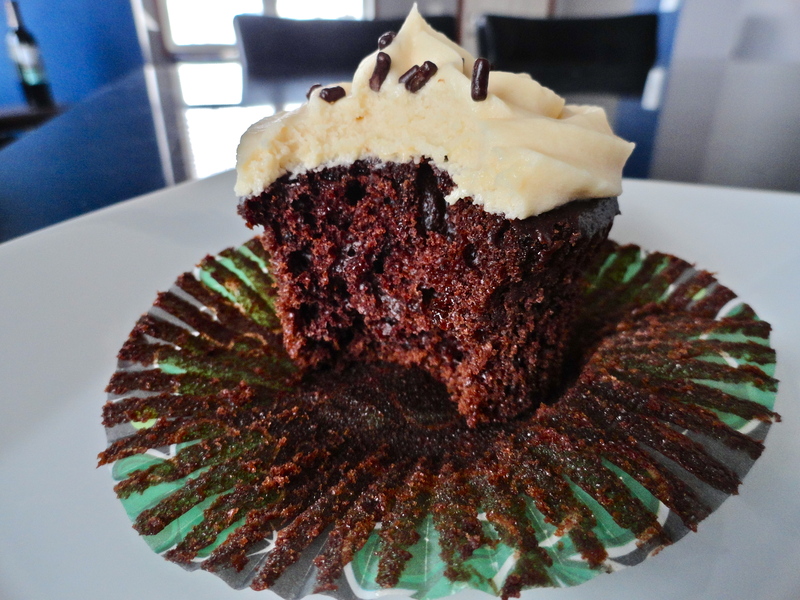 The frosting was really unnecessary, but I used what I had left anyway, because although frosting isn’t “necessary”, it’s still delicious! Even better, Nate said they were “really good”. This is why I never believe him when he says he doesn’t like something…what does he know? 1. Preheat oven to 350 degrees. In a large bowl, whisk together flour, baking powder, cinnamon and salt. Add grated carrots to flour mixture, and toss to combine. 2. In the bowl of a stand mixer, combine sugars, butter and yogurt. Beat at medium speed until well combined. Add eggs one at a time, then vanilla extract. Add flour and buttermilk while mixing, alternating between the two, starting and ending with flour. mixture. Continue to mix until all ingredients are well combined. 3. Prepare a mini cupcake tin with cooking spray (or cupcake wrappers). Spoon 1 tbsp batter into each cup. Bake for 10-12 minutes. Remove from oven and transfer to wire rack to cool. 4. 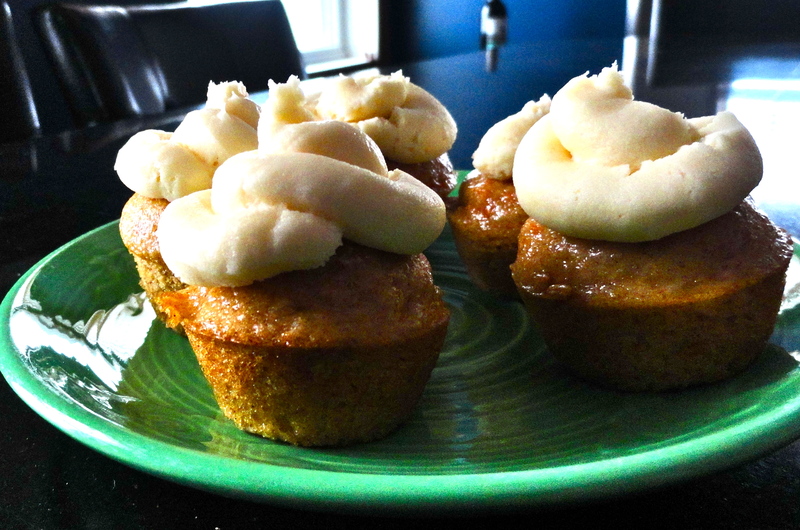 Top with cream cheese frosting, if desired. From some reason, Nate thinks that red velvet is my favorite cake ever. Guess what? It isn’t. I think it might be his. It’s quite funny whenever we see it somewhere or on a menu, he says, “Red velvet cake, honey! You love that! Do you want to get some?” To be fair, I think he thinks this because of a date we had a few years ago, which happened to be Cinco de Mayo. We didn’t really plan for it, but since it was, we went to a little Mexican place in St. Paul that I like. It’s somewhat close to actual Mexican food, not super Americanized Mexican food. We got free tequilla shots for each drink we ordered! I guess that’s not such a positive thing, seeing as though I’m not really a tequilla fan, but hey, free shots? Okay. Anyway, after dinner, we went to a nearby restaurant to have dessert and a bottle of wine. 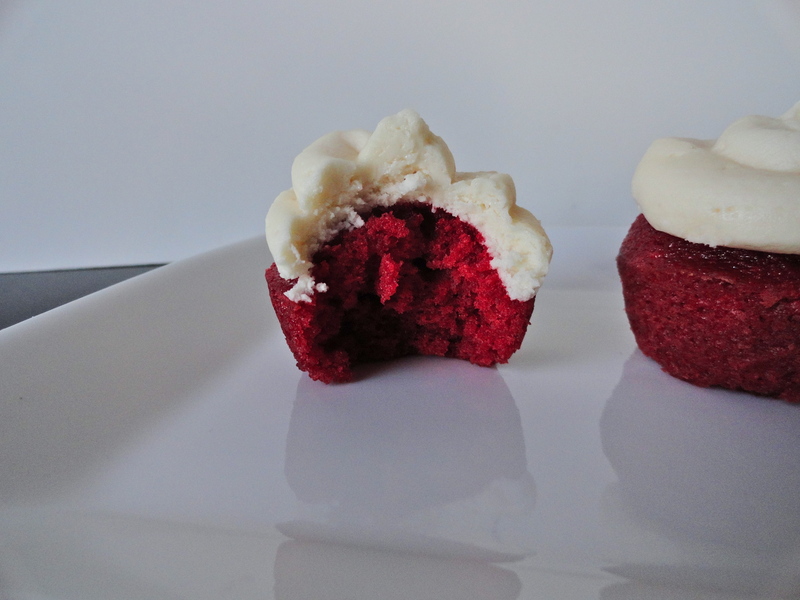 Both were amazing, but the red velvet cake? Wow. It was so good. I couldn’t stop talking about how I was having a love affair with it! So, again, to his credit, he continues to think it’s my favorite. Anyway, red velvet is on my 30 Before 30 list, and I really need to get crackin’ on that list if I want to finish it up before my birthday (July). Lots of seafood left after this – I’m surly not complaining! I decided to make mini cupcakes for a ladies night at my house. I stopped at the grocery store on my way home from work, got everything on my list and headed home. After getting in some comfy clothes, I went to work. 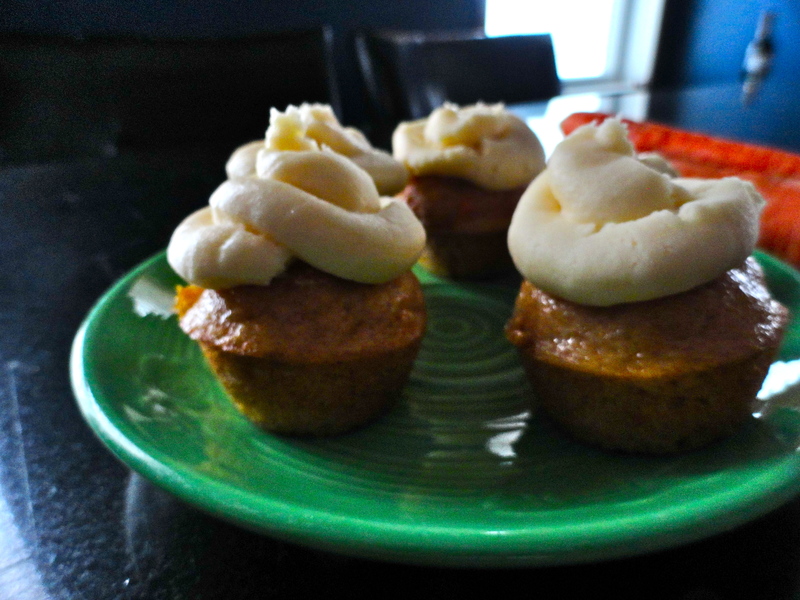 When I took out my mini muffin pan, I quickly realized that I forgot to get cupcake wrappers. UGH. I was already in my pjs, made myself a cocktail and was not about to go out in the below zero cold again just to get them. So I went without. Not like it’s that big of a deal, but I feel like the outside would have been a bit more soft had I used them. When looking for recipes, I first consulted my friends on my What’s Cooking board. I was directed to The Way the Cookie Crumbles for a red velvet cake comparison. My goodness, this was quite an extensive comparison. I can’t imagine how many cupcakes she must have had in her house after trying them all! After reading through, I settled on her adapted recipe from her favorite. 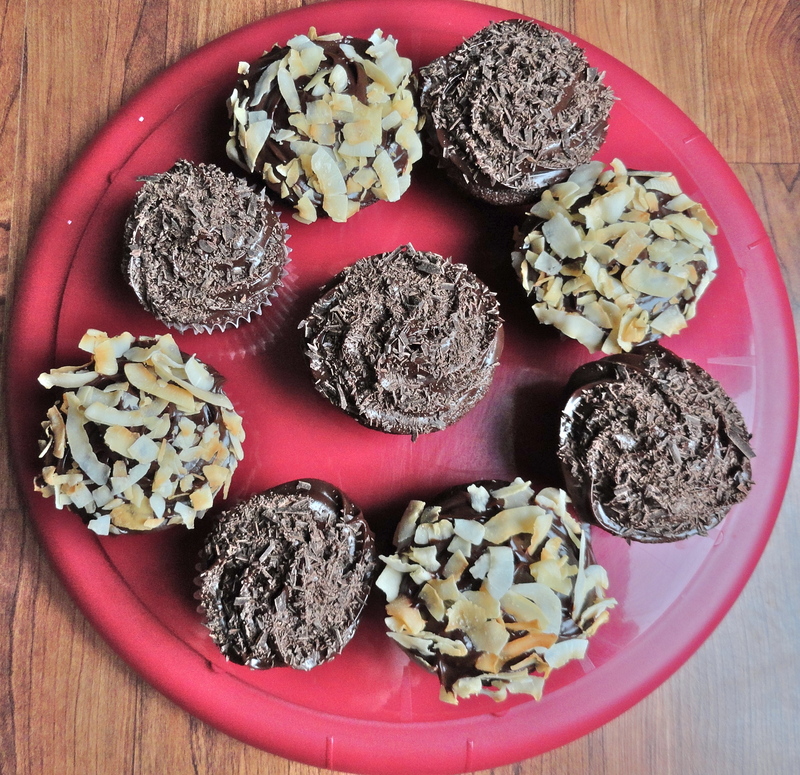 I did half the entire recipe, and I have to remind you that I’m not a baker, therefore, not a very good decorator. I must say, the recipe was not disappointing in the least! The cake was light and fluffy, with a slight hint of the cocoa powder, and the frosting was tangy and creamy, though not super rich. Fantastic! 1. Preheat oven to 350 degrees. In a medium bowl, sift together flour, sugar, cocoa powder and salt. 2. In the bowl of a stand mixer, beat egg, oil, buttermilk, food coloring, vanilla and vinegar until well combined. Slowly add dry ingredients and beat until smooth, about 2 minutes. 3. Prepare muffin tin with a light spray of olive oil, or use muffin wrappers. Fill tins with about 1 tbsp of batter. Bake for 10 minutes, or until just cooked through. Be carefull not to over cook as the cake will lose its moisture and fluffiness. Turn out onto a wire rake to cool. 4. In bowl of a stand mixer, beat together cream cheese and butter until well combined. Add vanilla and confectioners’ sugar and beat until light and fluffy, about 5-7 minutes. 5. Pipe frosting onto each cupcake. 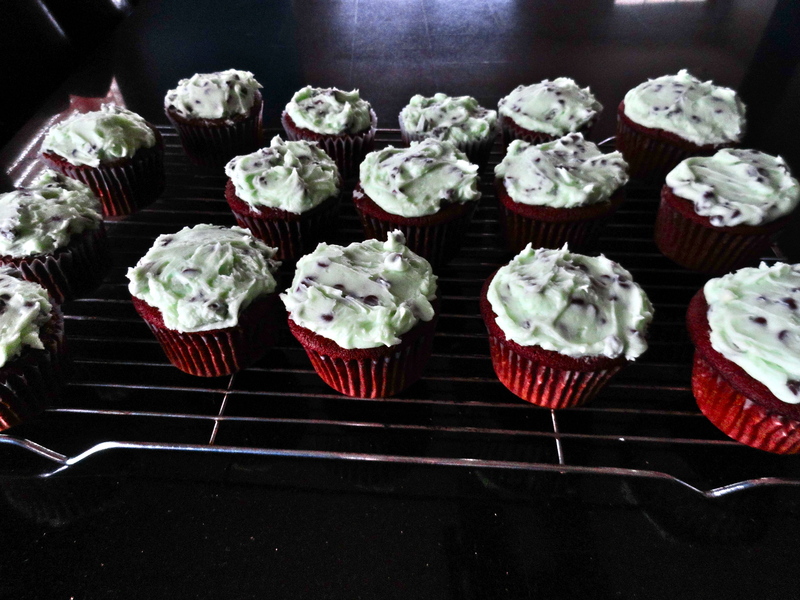 Refrigerate for 2 hours to set frosting.